Benromach Peat Smoke, is a Single Malt from the Speyside region. Strongly peated and aged in barrels of Bourbon, it develops subtle and smoky aromas of fruit and spices. 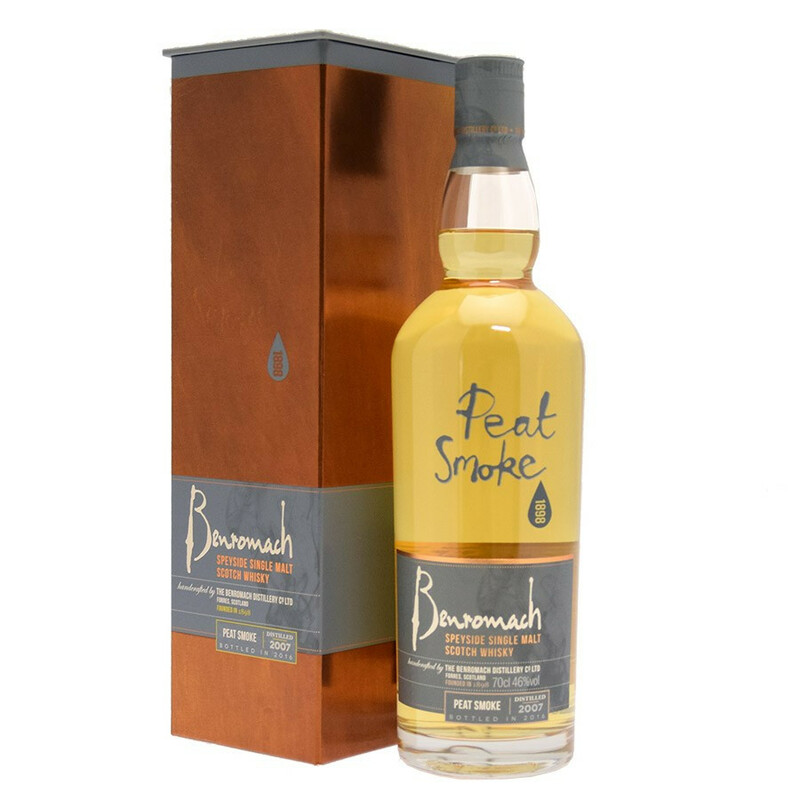 Benromach Peat Smoke is a Single Malt from the Speyside region. This whisky is only produced in small quantities by the distillery. It is distinguished by the meeting of peat and rich notes of Benromach. It is produced with heavily peated malted barley (phenols: 67ppm*) and aged in Bourbon barrels where it develops notes of fruit and smoke. A tasty mix, both powerful and subtle! Nose: rich and slightly peated with notes of flowers and fruits (apricots). Nice complexity with hints of honey, dried beef and tobacco. Palate: well-balanced. Fruity and smoky malt, spices (pepper). Hints of citrus fruits like orange and lemon and a lot of vanilla. Finish: long and fruity, with notes of cold ashes and a surprising hint of anise!